NBC’s new dance competition series, World of Dance, has earned an early season two renewal. According to NBC, World of Dance season one has scored the highest ratings of any summer alternative series of the past nine years. The series also snagged the title of the “highest-rated first-year summer series through its first five weeks” since 2013’s Under the Dome. World of Dance ranks behind only NBC’s America’s Got Talent in total viewers for a summer entertainment series. 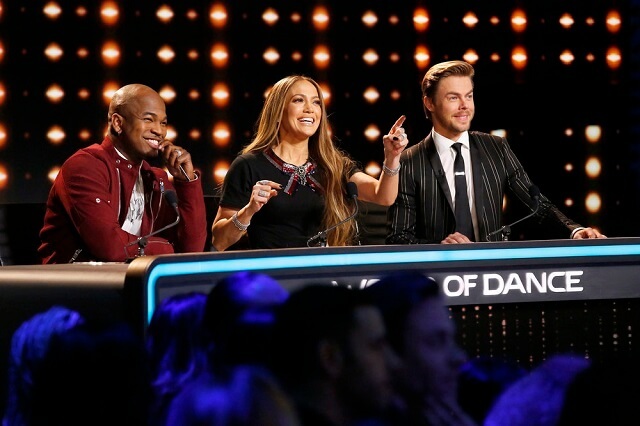 The judging panel for season one includes executive producer Jennifer Lopez, Derek Hough, NE-YO, and host/mentor Jenna Dewan Tatum. The Plot: In partnership with preeminent global dance brand World of Dance, the series brings the world’s elite dancers together to compete in epic battles of artistry, precision and athleticism. Solo dancers will compete against duos and crews in an unlimited range of dance, including hip-hop, popping, locking, tap, ballet, break dancing, ballroom, stomping and more. Handpicked from qualifying events around the nation and thousands of online submissions, competitors are divided into three divisions: Junior (any size act, 17 years old and under), Upper (groups of 1-4, 18 and older) and Team (groups of 5+, 18 and older). Our panel of experts scores the acts using a precise point system developed by World of Dance, using the following criteria: Performance, Technique, Choreography, Creativity and Presentation. The competition consists of five rounds: Qualifiers, Duels, The Cut, Divisional Final and the World Final. In the first four rounds, dancers only compete within their division, but in the World Final — the winner from each division will compete against each other for the $1 million grand prize.